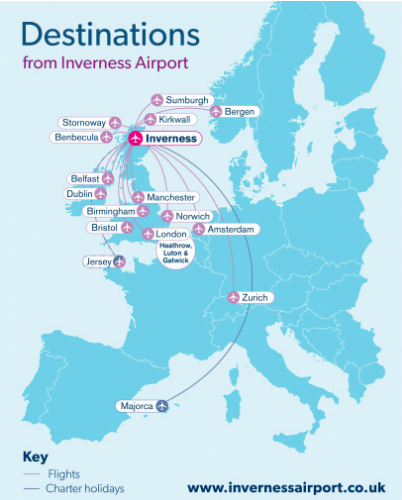 Did you know that Inverness Airport is now connected to airports all across the UK, and ones further afield via Amsterdam? British Airways flies daily from London Heathrow, whilst Easyjet flies between 3-5 times a day from London (Gatwick and Luton), depending on the day of the week. There are also daily flights to Bristol (Easyjet), Belfast and Birmingham (Flybe) and flights 5 times a week to Dublin (LoganAir). LoganAir also provide frequent daily flights from Manchester. Daily flights with KLM link Inverness to Amsterdam Schiphol, which can be reached from an incredible 176 European cities. From Inverness Airport, you can collect a hire car from a number of competitively-priced providers. It is only a 45-minute drive from the airport to the Cairngorms National Park, making air travel a really attractive option. If you prefer to travel a little slower, the Caledonian Sleeper is a wonderful way to arrive direct to the centre of Aviemore. 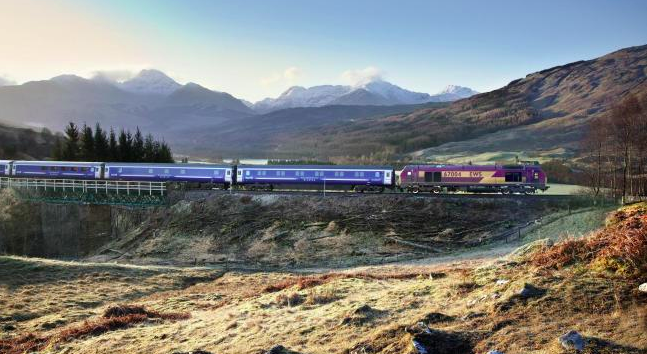 Or take a daytime train to sit back and enjoy the scenery along the way – regular daily trains run north to Inverness and south to Edinburgh and Glasgow (and connecting beyond: Trains to Aviemore). Regular daily buses stop in the centre of Aviemore on their way north from Edinburgh and Glasgow, and on their way south from Inverness (Citylink and Megabus). For the local bus service around Badenoch and Strathspey, you can find timetables and information on the Stagecoach website. Having a car will really help you make the most of exploring our wonderful area during your time here. If you are arriving in Aviemore by train or bus, take a look at the great service provided by Aviemore Car and Van Hire. You’ll need your Drivers Licence, proof of address, passport (if non-UK resident), to have been driving for 2 years and aged between 23 and 75 years. They are open 9am to 5pm but for £30 extra they can be available for you outside these times if you’d like your car waiting at the station for your arrival. If you are driving your own car, the Traffic Scotland website is a good source of up-to-date traffic information, journey times, roadworks, road traffic incidents and weather affecting routes. You can expect to be driving for around 2.5-3 hours from Edinburgh or Glasgow to Aviemore, 2 hours from Aberdeen, 30-40 minutes from Inverness. For a real environmentally-friendly, active and adventurous holiday, why not leave the car at home? 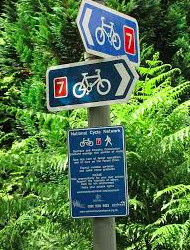 Sustrans Route 7 links Sunderland to Inverness, and passes through the Cairngorms National Park via a combination of off- and on- road cycling routes. 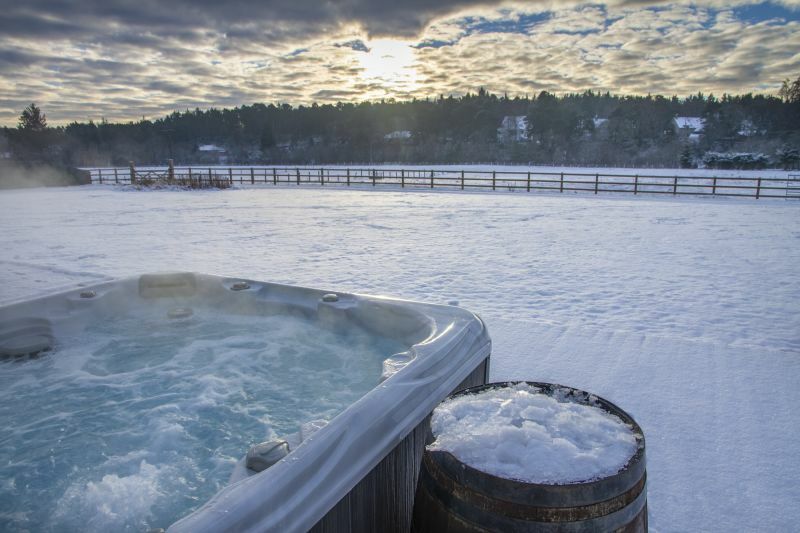 All that hard work will be worth it when you reach the luxury of your Handpicked Lodge!